Yes our dear Kamen Rider Drive fans, you've read it right! 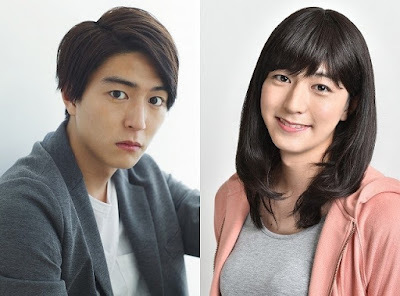 Yuu Inaba, better known to his fans as Gou Shijima/Kamen Rider Mach of Kamen Rider Drive will portray a cross-dresser role in Rental Kyuuseishu! Fresh from his return in V-Cinema's Kamen Rider Drive Saga: Kamen Rider Mach & Kamen Rider Heart and the upcoming Kamen Rider Mach drama CD, Yuu will portral the role of a man who is obsessed of dressing up as a woman in the NTV drama series, Rental Kyuuseishu. Ikki Sawamura (Daigo Fukami/Kamen Rider Zero Specter) will portray the role of the main character for the series and he will be joined by Ryusei Fuji and Miku Shida. If you're into that sort of thing, I guess. i honestly couldn't tell the difference.